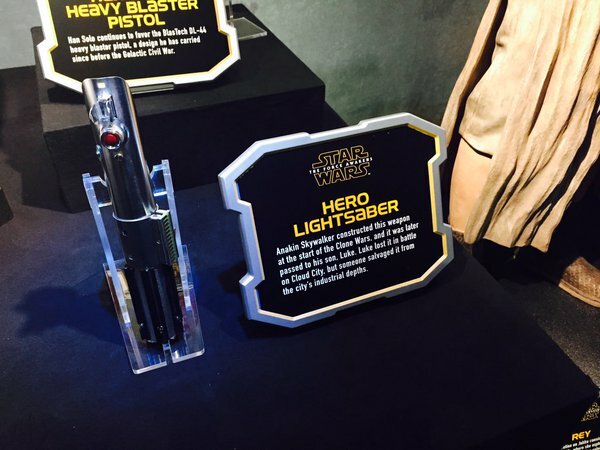 "Anakin Skywalker constructed this weapon at the start of the Clone Wars, and it was later passed to his son, Luke. Luke lost it in battle on Cloud City, but someone salvaged it from the city’s industrial depths." While it's nothing major, it does begin to give us some understanding of how the lightsaber got from where we last saw it in Episode V to where we find it in Episode VII. I love this it ties a portion in a book to the current movie giving me hope that the eu we have come to know and love hasn't gone extinct completely due to disney.